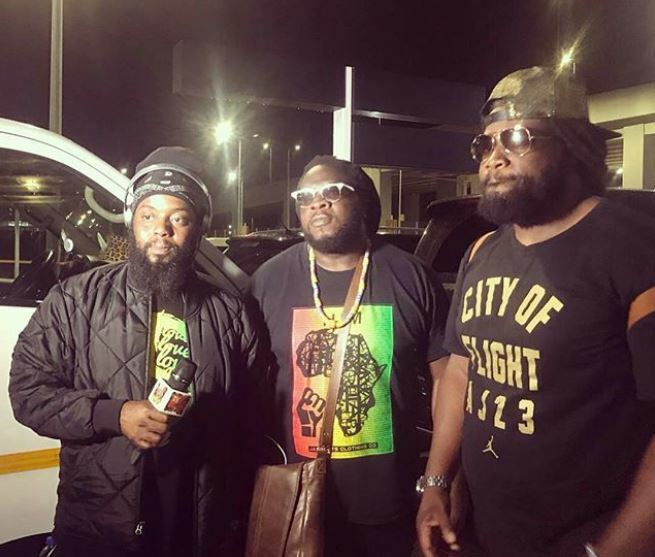 Grammy-award winning reggae family Morgan Heritage of siblings Gramps, Mojo and Peetah Morgan spoke to Buzz on their music, new found love for Africa, Buju Banton release, and their sister Una Morgan retiring because of a heart-attack. Peetah: It’s good to be back home; this is home, you know? Africa is home to all Black people and Kenya is one of our favourite places in this continent. We may have been born in the Western hemisphere but our skin is black and we believe, for one reason or another, our ancestry is from Africa. Have you noted any disappointments during your several visits to Africa and Kenya to be precise? Peetah: Not much, but I remember one incident where we were stopped at the airport and our documents were thoroughly scrutinised, while we could see Caucasian people pass with ease and not so much questioning. All we are trying to do is be close to our origin as much as possible. This is why we feel there should be no Visa for any Black man visiting Africa. Do you think that will ever come to pass? Mojo: Why not? I believe so. It’s already happening in Ghana. Just recently, their president Nana (Addo Akufo) declared an initiative “2019 The Year of Return” to all “citizens” living in the diaspora. It’s good to see this happening despite their being 400 years since most Africans were taken and shipped overseas for slavery. The goal is to get all African-Americans of Ghanaian decent to return home and have a transformative experience of connecting with the continent, after all these years. Clearly this is a course that excites you. As reggae artistes, how will your music impact on this? Gramps: For starters, I will tell you this, there is no genre of music in the world that talks more about Africa than reggae. There isn’t a genre of music that talks about uplifting Africa, building Africa and expatriation more than reggae. It has always highlighted the plight of the Black man and it’s good to see such moves happening finally. Last month saw the release of global reggae superstar Buju Banton from US prison after seven years, how would you describe the feeling? Gramps: The whole world was elated not only Jamaica. He was the number-two trending topic in the world after his release. When you see a man who has spent so much time away from the music causing that, this means this man had an influence to the world. You saw DJ Khaled flew on a private jet to go pay him homage. Akon gave me a call the other day asking if I could help him FaceTime with Buju Banton. Fat Joe as well and many people from all walks of life. As for me, I am so excited for him as a father than an artiste because he has children. Seeing him bond with his children after all this while was tear-jerking. Having interacted with him since the release, what plans does he harbour as far as his music is concerned? Gramps: For now, he is spending time with family but he is excited about prospects of coming to Africa. His latest album comes out in 2019. Prepare for an amazing Buju Banton album; you will hear him like never before. Over 20 years in music, never for once was your music banned anywhere in the world until you featured in Diamond Platinumz’s “Hallelujah”. Your thoughts? Gramps: We were told it was banned because it was blasphemous. We will never stop glorifying women in the right way. Where would we be without them? Even the Bible says God created woman when He saw man lonely. Let the woman be praised. Lastly why did Una ditch the band? Peetah: Sister Una retired from touring. In 2015, she had a heart attack while we were on a tour and decided to retire. We couldn’t stop her but, if in any case she wants to come back, we will always welcome her.